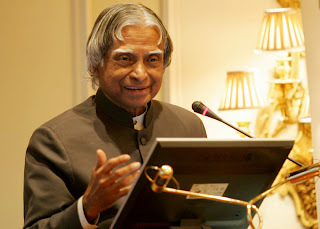 Dr. Avul Pakir Jainulabdin Abdul Kalam served as the 11th president of India from the period 2002 to 2007. 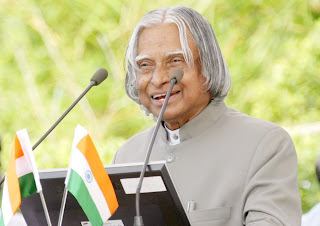 He is a man of vision, who is always full of ideas aimed at the development of the country and is often also referred to as the Missile Man of India. People loved and respected Dr. APJ ABDUL KALAM so much during his tenure as President that was popularly called the people’s President. 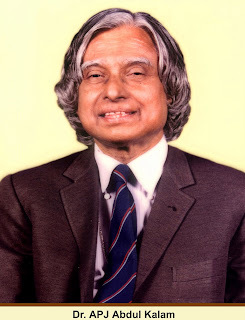 Abdul Kalam was born on 15 October 1931 at Rameswaram, Dhanushkodi, in the state of Tamil Nadu, to a middle class Tamil Muslim family. 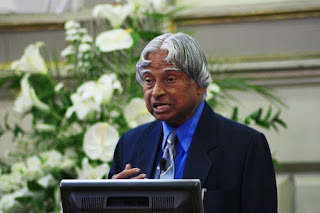 He got his degree in “aeronautical engineering” from the Madras Institute of Technology in 1958. After graduation, he joined India’s Defence Research and Development Organization (DRDO) to work on a hovercraft project. 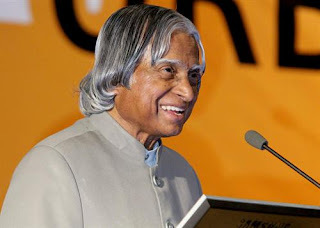 In 1962, Dr. Abdul Kalam moved to the Indian Space Research Organization (ISRO), where he done more successful jobs and most important that his team launched several satellites successfully. He made a significant contribution as Project Director to develop India’s first indigenous Satellite Launch Vehicle (SLV-III). 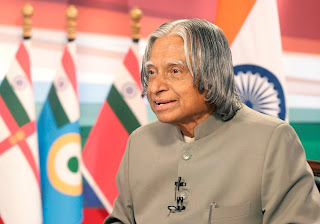 Something of Kalam’s probable views on certain can be surmised from positions espoused by him in the past. His book India 2020 strongly advocates an action plan to develop India into a knowledge superpower and into a developed view that India ought to take a more assertive stance in international relations; he apparently regards his work on India’s nuclear weapons program as a way to assert India’s place as a future superpower. 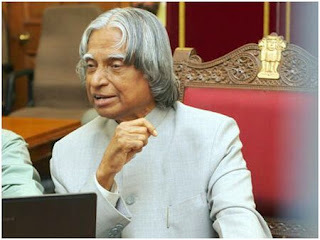 Kalam continues to take an active interest in other developments in the field of science and technology as well. He has proposed a research programmed for developing bio-implants. He is a supporter of pen source software over proprietary solutions and believes that the use of open source software on a large scale will bring more people the benefits of Information Technology. Kalam has been the subject of vicious criticism from leftists in the Indian press, praful Bidwai being among his staunchest critics. Dr. APJ Abdul Kalam regards his work on India’s nuclear weapons program as a way to assert India’s place as a future superpower. 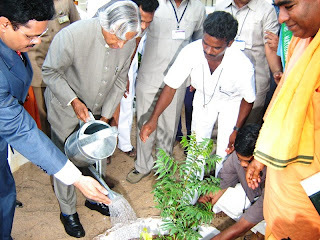 Even during his tenure as president, APJ Kalam took avid interest in the spheres of India’s science and technology. He has even put forward a project plan for establishing bio-implants. He is also an ardent advocate of open source software over proprietary solutions to churn out more profits in the field of information technology in India. 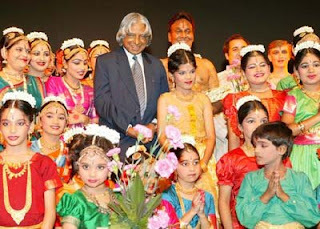 Kalam observes strict personal discipline, practicing vegetarianism, teetotalism and celibacy. 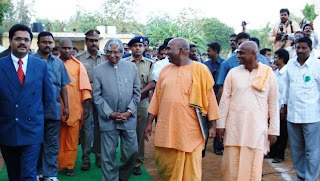 Kalam is scholar of Tirukkual, in most of his speeches; he quotes at least one Kural. 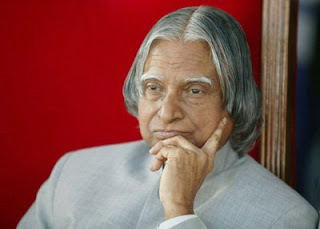 Kalam has written several inspirational books, most notably his autobiography Wings of fire, aimed at motivating Indian youth. Another of his books guiding Souls: Dialogues on the purpose of Life reveals his spiritual side. 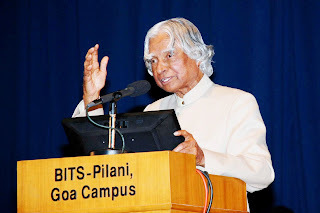 Former President Great Scientist APJ Abdul Kalam, the 'Missile Man' who came to be known as 'People's President' died on Monday after he collapsed during a lecture at the IIM in Shillong on Monday evening 27th July 2015. 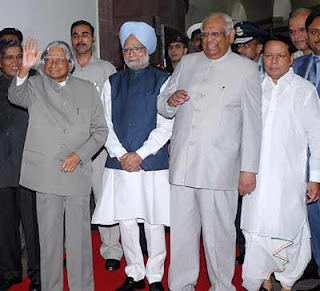 Dr. Kalam became the 11th President of India, 25 July 2002. Its focus is on transforming India into a developed nation by 2020.Regared! This blog is very nice and informative! My favourite person. some of the top quotes of Mr A. P. J. Abdul Kalam sir. 1)You have to dream before your dreams can come true. 2)Look at the sky. We are not alone. The whole universe is friendly to us and conspires only to give the best to those who dream and work. 3)Man needs his difficulties because they are necessary to enjoy success. 4)Great dreams of great dreamers are always transcended. 5)We should not give up and we should not allow the problem to defeat us. 6)Be more dedicated to making solid achievements than in running after swift but synthetic happiness. 7)Do we not realize that self respect comes with self reliance? 8)God, our Creator, has stored within our minds and personalities, great potential strength and ability. Prayer helps us tap and develop these powers. 9)Unless India stands up to the world, no one will respect us. In this world, fear has no place. Only strength respects strength.